Styled shoots are a great way for venue owners, photographers, wedding stylists, florists, and calligraphers etc. to get together to create amazing, inspirational work. 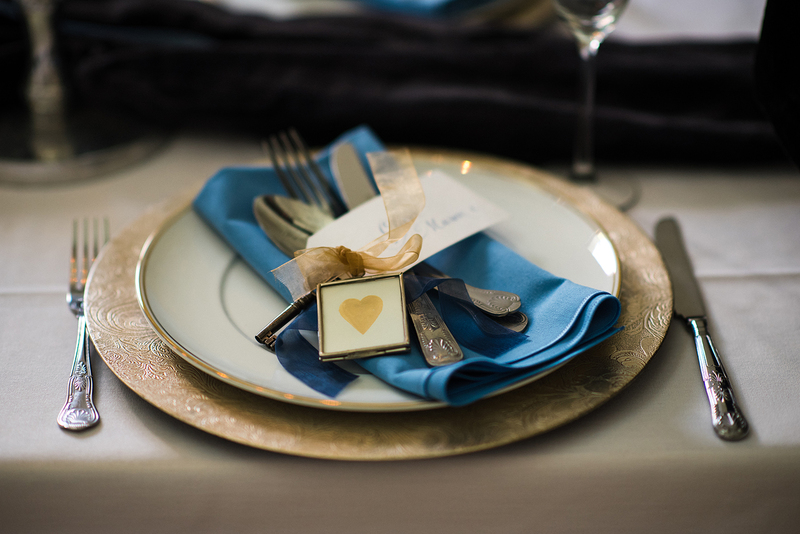 There can be so many positive outcomes from being part of a well organised and executed styled shoot. However, everyone can approach styled shoots differently and for different reasons, and there is no rule book on how to put one together. Unless everyone understands, what is expected of them, then just like a real wedding, things can sadly go wrong. If you are organising your first styled shoot, or you have been invited to participate in your first styled shoot, here are some guidelines to help ensure it’s a success and you enjoy the experience. Styled shoots are a collaboration of wedding suppliers to create a small, staged wedding or aspects of one. Styled shoots should encourage each of the suppliers to do what they do best and show case their skills, within a given brief. There is no better way to showcase your work, a wedding venue or a supplier’s product or service than in a well-executed styled shoot. The basic idea is to set a wedding scene, ideally working with a stylist and other handpicked vendors, to show off the venue and everyone’s work, that, once published, can be strategically shared to increase awareness and place your work in front of new potential couples. Who gets involved in a styled shoot? What should you ask yourself before agreeing to be included in a styled shoot? will the shoot add to your brand? will the photos fill a gap in your portfolio – perhaps there is some element that would pull your work together that you are not managing to get from real weddings? do you need any more work? If you are already booked solid what else could you get out of the shoot – perhaps it would help you to raise your prices? would a styled shoot elevate your venue or enable you to become the couple’s supplier of choice? If you are invited to take part in a faux wedding, remember that styled shoots can be more successful when they are treated like a real wedding. If you begrudge the time and effort involved, or can’t see the benefits, then you should decline the offer to take part. Will I get paid to be part of a styled shoot? No one gets paid for putting on a styled shoot. They are a collaboration. Florists often incur the greatest costs, so if you are going to take part you should perhaps budget for one or two a year and cap your spends, but without compromising your style or quality. Will I be able to recover any of my expenses from a styled shoot? No, you cannot recover your expenses, but, working with your accountant, you should be able to think of it as part of your marketing budget. Sometimes you might even be asked to contribute towards your own lunch or pay for models. If you can’t afford to be involved in a shoot then you should be upfront with the organiser, as the last thing you want to do is to damage your reputation, by not delivering on quality or quantity. Why plan or get involved in a styled shoot? getting more bookings – either, if the general public are there on the day (an open day) or post event! What are the chances of getting a styled shoot published on a blog? It is my understanding that wedding blogs publish fewer styled shoots than real weddings, as the editors can pick and choose what to feature depending on their audience and their marketing plan. The more realistic the styled shoot, the better chance it has at performing long term. Using real couples can help you to achieve this, as photographing them can be easier than using models who haven’t met before and don’t feel comfortable getting intimate – it is a wedding after all. Without dedication and hard work, you will not deliver blog-worthy, stunning content. So, everyone within the team needs to help, support, guide and collaborate to provide the best quality work, whilst understanding that everyone is on a budget. Who takes on what roles when planning a styled shoot? writing a pitch to put to the bloggers and sometimes to write additional content, if the blogger accepts the shoot. give a description of their contribution and their inspiration, so if the stylist is required to write a blog, they have your thoughts and ideas etc. take the lead on the day when it comes to moving and adjusting items, posing models and composition etc. as they need to react to the light etc. sometimes contact the blogger direct as they have specified that they will only work with the photographer, so they would need to submit the pitch even if the stylist has written it. provide tables and chairs etc. if inviting the public, put together a marketing campaign to increase footfall for the event and choose a date or dates that maximises potential footfall and increases the exhibitors’ chances of getting bookings. once the images have been published, share, share and share, naming the blog that they have appeared on. How do you start putting together a Fake Wedding? Perhaps there is a venue or location that, for whatever reason, you haven’t worked at, that either matches your brand now or it reflects your changing brand? Perfect. If you are organising the event, approach the specific venue owner, and with their consent and support, start planning that shoot. Please note; you are more likely to get their approval if you work out what the value of doing the shoot is to the venue owner – after all it costs them to promote and open up their venue for the day or weekend. interacting with the props such as the bouquet etc. What does everyone involved need to know about the styled shoot? when is the event and is it over a number of days? where is the event? Give a full address and postcode (for navigation) and anything quirky about finding the venue, as you want to make sure everyone turns up on time. what is the best time to arrive, set up and are there any deadlines? where to unload and park? are they expected to be at the shoot or deliver their work in advance, (personally, I always think it is better if they can be at the styled shoot to network and to be on hand to move their items for the photographer and to advise them of what they believe is the best angle etc.)? what they can hope to get out of the styled shoot. the etiquette around sharing images etc. How do you make the most of a styled shoot? In my opinion this is the area of a styled shoot that must be resolved and agreed, well in advance, as again there is no set of rules to follow. My preference, and a tactic I share with one of the best styled shoot photographers that I’ve worked with, is that only around ten professional images (supplied by the photographer), are to be shared by the contributors. That is until the shoot is featured on a blog or on a given release date. This ensures that the message is not diluted, and the only the best quality images of the shoot are on social media. The photographer therefore should choose an image, to represent each of the suppliers, to allow everyone to contribute to drip feeding the story. When the photographs are distributed the drumroll is also circulated and everyone must include everyone’s correct details (supplied by the contributors). This is vitally important to me, but also to your vendor peers – as it is my belief that everyone needs to help each other, in such a competitive wedding environment. By other suppliers sharing your work, you can increase brand awareness and traffic to your social media. Having a solid Facebook and Instagram following adds credibility to your business, while making your work more memorable. Once the blog has gone live, and the full gallery is shared, the contributors can share their behind-the-scene images taken on their mobiles. A collaborative styled shoot agreement. With lots of collaborators it is critical that everyone understands your expectations and their roles, but also what they can and can’t do to achieve a successful fake wedding. The photographer’s terms – this document should reinforce copyright ownership with the photographer and defines the use of the images (including whether to allow alterations to images, etc.). An agreement for the models to sign, to give the collaborative group the okay to use the images. This release allows clients to easily and legally give permission for use of their images for commercial purposes (magazine, ad, etc.) This also releases any claims the client may have to future compensation for use of images. What might a collaborative agreement include? suppliers are encouraged to bring along their most relevant material, as there will be the minimum space to display leaflets etc and categorically there must be no banners. It is not a Wedding Fair! suppliers share (and credit) other members of the group’s images but ideally each supplier shares ‘their’ image first. Why does it take so long after the styled shoot before the pictures can be shared? Whilst the stylist or photographer might have an idea of what the shoot will look and feel like, once they receive the images, someone will need to write or amend the copy for each submission. Once submitted the process can take anywhere from a couple weeks to months for approval. If unsuccessful with the first submission, then it may well be put in front of another blogger. If the styled shoot is accepted then there is often a delay before the publication date and even then, it can be shunted back if something else comes into the Editors inbox that they feel is more relevant. And, sadly yes sometimes none of the bloggers will take the shoot, as someone else has done it better or got to the market before you. Just remember styled shoots, can be well received, but they take a lot of hard work and sometimes can be rejected. For every styled shoot you see, sadly there are many galleries that we will never get to see. How do you ensure that you enjoy the styled shoot process? I recommend setting up a WhatsApp group with all the exhibitors included. That way you can build up a relationship, everyone can introduce themselves to the team, share ideas and inspiration, but also use the group for updates post event and hopefully share in the success of the collaboration. As someone who regularly organises styled shoots, I know there is a lot of hard work that goes into ensuring they are successful. If you would like to launch a new venue, product or service or rebrand, please contact The Wedding Owl. I’ve had the opportunity to work with some super talented wedding individuals to create beautiful styled shoots. By setting the stage correctly my collaborative work has appeared on Love My Dress, Coco, B.Loved, Brides in France, Fab Mood, Whimsical Wonderland Weddings and Girl Gets Wed.